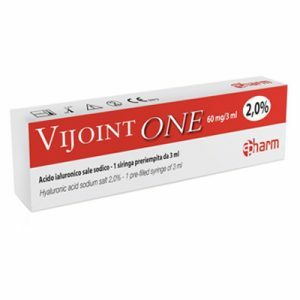 An effective gel treatment to give patients cushioning between knee joints to minimise joint pain caused by osteoarthritis. 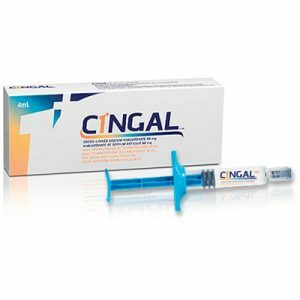 Supartz is made from pure animal free hyaluronic acid and is used to treat knee joint pain by injecting into area to offer six months pain relief. 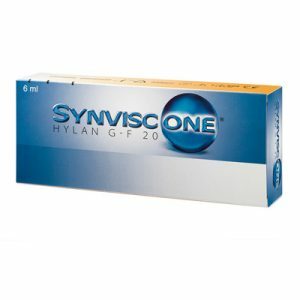 The process is referred to as viscosupplementation, where the joints are injected (supplemented) with healthy hyaluronic acid lubricant which means that patients can be mobile and independent to carry out their normal daily activities again. This process is much more effective then taking drugs orally to contain the pain. What is so unique about Supartz? Supartz extinguishes pain from osteoarthritis for half a year. Patients are given one injection every 3-5 weeks. 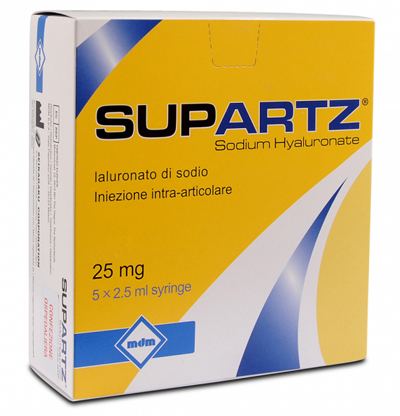 Supartz imitates the fluid found in knee joints. Made from hyaluronic acid, a natural substance found inside the human body. Its key properties are to keep the skin hydrated whilst adding plumpness. HA naturally breaks down in the body during metabolism and is then replaced. However as we gets older and our metabolism slows down, replacement of HA is less often which results in less hydrated skin and less volume in the skin. 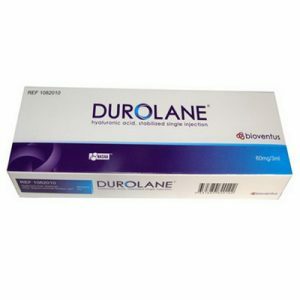 Who should not use Supartz? What are the associated side effects with Supartz?